It's only been a month, but we are already disillusioned with most of the products in the refridgerated yoghurt/mousse/dessert section of the supermarket. 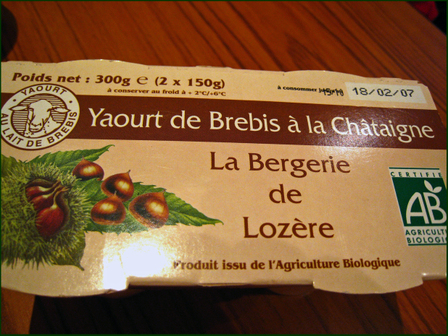 A few exceptions still stand out, like above sheep's milk yoghurt with chestnut- it was creamy without being too sweet. 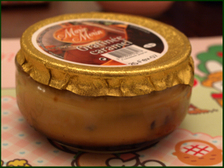 Among desserts, this brand's creme caramel is a nice stand for emergencies and also if, like me, one is not inclined to make caramel from scratch. It is easy enough to make custard, but if the caramel goes wrong cleaning the pan is a bit of a b*tch. We've learnt our lessons. 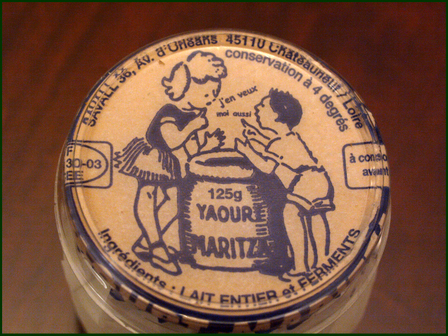 Plain yoghurt is the way, and it doesn't hurt when the artwork on the jartop is as cute as this. 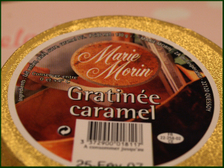 There is always some honey, jams, syrups, nuts and cereals to make it more interesting for consumption. 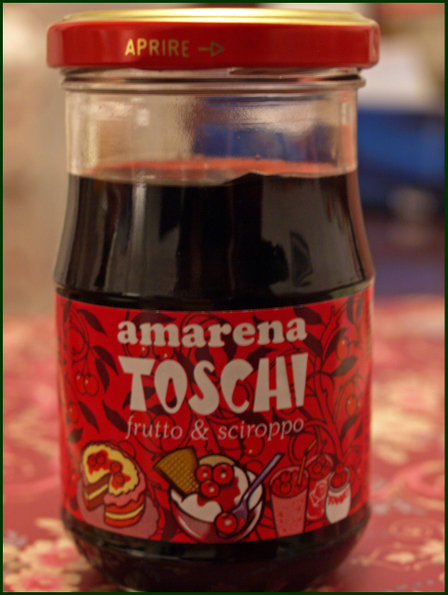 Such as this jar of preserved wild cherries I picked up in one of the stores along rue Mouffetard for the bargain price of 2 euros, marked down from a none too unreasonable 2.50. Reminds me a little of cough syrup, but in an altogether pleasanter grown up fashion.